One of the reasons I won’t be criticising Israel today is because I am in London. I am not facing 40,000 rioters sent by Hamas to the Israeli border. Instead I am safely tucked away in a relatively secure part of the globe, with the armies of British enemies pushed back through centuries of brutal conflict. Even in the last two decades many have died in the Middle East because the British army, like that of the United States, protects its borders and global interests by fighting it’s battles far from away from our shores. Our enemies are not even allowed to get close to us. More recently, our streets have remained silent from protest whilst the Syrian conflict has butchered half a million people. Given the absolute silence in the face of real Genocide and ethnic cleansing occurring across the globe, little is more hypocritical than global tears over the deaths of what we know now were mainly Hamas operatives on the Gaza border. One of those nations involved in the Syrian massacres, Turkey, has just expelled the Israeli Ambassador. Turkey? Erdogan is surely having a laugh. It is thirteen years since Israel withdrew from Gaza. Pulling back its forces, dismantling settlements and forcibly removing Jewish residents. Almost immediately Hamas won an election and then tried to replace the Palestinian police with Hamas forces in Gaza. This internal conflict eventually led to the ‘Battle of Gaza‘ between Fatah and Hamas, which resulted in Hamas taking full control of the Strip. The history since then has been tragic. The growing Gazan population has been under the control of a terrorist regime intent on conflict rather than dialogue. With international funding looking after the basic necessities of daily existence, Hamas funds have gone towards fighting Israel rather than improving the lives of its citizens. There have been three major conflicts and the last one in 2014, was devastating. I remember these arguments. The one where the Likud party leaders were called liars and warmongers for daring to suggest rockets would be fired on Israel from Gaza. My main criticism of the left is that there never seems to be any notion of accountability. The same groups of people who were so quick to turn a blind eye to early Palestinian transgressions of the Oslo agreements, were also pressuring Israel to give up the Golan for peace with Syria. Imagine how different the situation would be today had that exchange taken place and Iranian forces were edging towards the banks of the Kinneret. 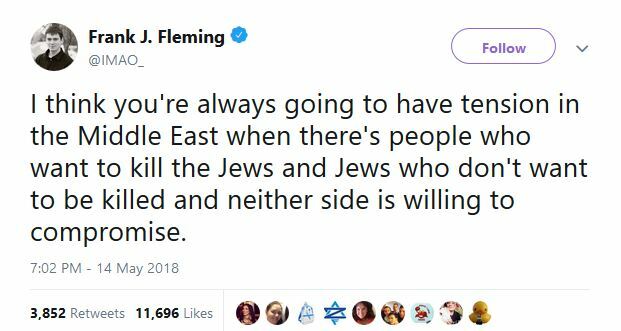 Supporters of that move simply shrug and move on to the next risk they would like Israel to take. Gaza today is unsustainable. A fast growing population inside an area that cannot provide for itself. The Israelis know it, the Palestinians know it, and the rest of the world knows it. So of course do Hamas, which has led to the largest hostage situation in history. The primary purpose of Hamas always involved killing Israelis and its failure to develop into a responsible organ of government has meant the success and failure of Hamas depends on its ability to do precisely that. Before the disengagement there were opportunities of direct contact with Israelis. Both settlements and soldiers were present, making targets easy to reach. Sharon ended that when he separated the Gaza Strip from Israel. The rockets were the Hamas response to this. An Islamist message that read ‘see, we can still reach you’. Israel’s response to 2014 rocket fire left Hamas under no illusions of the price that would be paid for such folly. Then came the tunnels. A by-product of smuggling was another field of expertise that permitted grand ideas of striking terror into Israeli hearts. Then Israel developed a method of detecting them. What is left is just the border itself. The only point on the map that a terrorist from Gaza can still try to hurt an Israeli. Hamas has to show it can inflict damage on Israel and the only card it holds are the civilians of the Gaza strip. So what we see now is not a grand peaceful protest or uprising of the Gazan population, it is a last ditch effort from Hamas to show the local population it can still do what it was meant to do. If Hamas cannot do even this, then what purpose does it have? We are facing the largest hostage situation the world has ever seen. Hamas are weaker than they have ever been. Every strategy to weaken Hamas that has taken place over the last few years, by the Israelis, the Egyptians and the PA, has this ‘hostage situation’ as the beating heart. 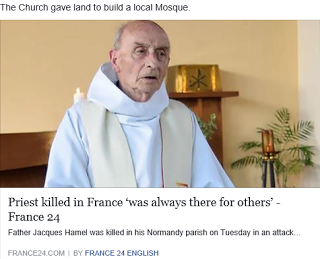 Yet people over in the west keep talking about how Hamas is winning the propaganda war. This is utter pointless poppycock. Firstly, it does not matter how many people think Hezbollah won a PR victory in 2006. What matters to Israel is that the border has remained silent since then and Hezbollah maintain an interest in keeping it quiet. Israel’s actions saved Israeli lives. That is the primary concern of Israel. Those same ‘useful idiots’ talk of the 2014 conflict in the same way also saying ‘Hamas won the PR war’. Yet Hamas have been scared to fire rockets ever since. The standing of Hamas has been devastated by the events of the last few years. Have you noticed how quiet the other Palestinians have been during this confrontation? Can you imagine this twenty years ago? The streets of Nablus and Jenin and East Jerusalem would have been burning in solidarity. They aren’t, because Hamas have already LOST the PR war where it matters. Hamas are left sending their forces to the border to cause trouble because they have no other option. So what really happened? Hamas, with little alternative but to create noise to justify its continued existence to the people it holds hostage, organised a protest. They sent out their operatives, whipped up the crowd, tried to break through the border and Israel successfully defended against the attack. Hamas know the way it works and their machine operates smoothly. 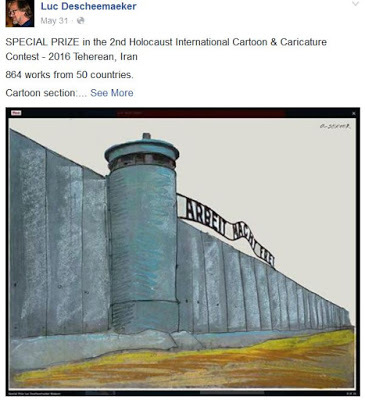 They have factories in Gaza working around the clock that send social media images out to anti-Israel groups. Thousands of ‘sock’ accounts that pretend to be men, women or young children posting about personal tragedy. Many making friends with anti-Israel activists also looking for donations to help pay for their ‘food’ for the month. This machinery is ready to roll into overdrive at moments like this. Western media are virtually blind in Gaza and are dependent on Palestinian sources that provide them with information. The news networks lap it all up and for a few hours, images of a massacre fill our screens. This is our battle, not Israel’s. Suddenly we are hit by a pathetic frenzy of reports talking about how Israeli soldiers are simply shooting at innocent protestors like ‘fish in a barrel’. Fake news takes control of the airwaves. 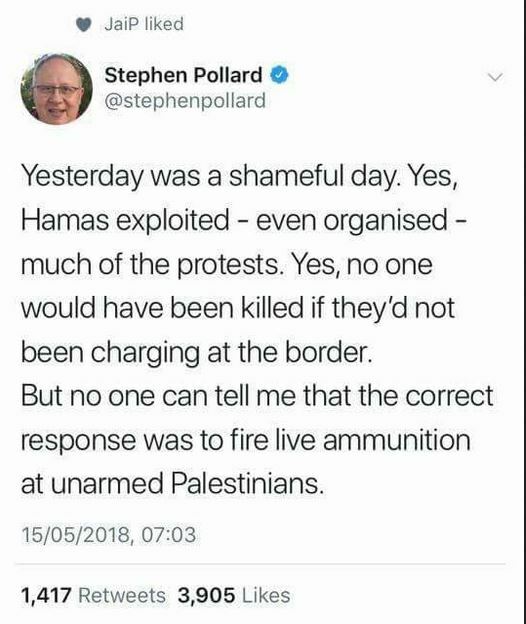 The people who let everyone down in this situation are not the Israelis, but the journalists who simply regurgitate Hamas propaganda like mindless fools. As it turns out, Hamas, a proscribed terrorist organisation, are claiming fifty of the fatalities were Hamas operatives. Which means the ‘massacre’ simply never occurred. Almost every report that we have seen about the confrontation at the Gaza border was catastrophically wrong. Watching instant images of a conflict such as this is challenging. The hostages in Gaza are real people caught in an awful situation. We cannot know exactly what we are watching, but it is designed by the factory in Gaza to make us flinch. Israel knows that it will only take one small band of terrorists to break through and slaughter some Israelis. At which point Hamas can declare a real ‘PR’ victory. Which means this cannot be allowed to happen. So on the one side you have forty-thousand people rioting, with as many cameras as terrorists amongst them, on the other an Israel that cannot allow one group to cross that line. It is a war, not a small gang fight in South London, or a low scale riot in Tottenham. It is a radical Islamic terror group trying to find a way to inflict casualties on Israel. 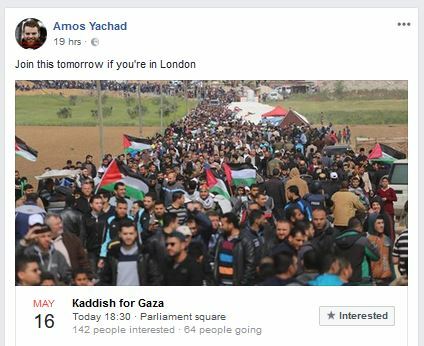 And a Yachad activist Amos shared a disgraceful event on Facebook calling for people to attend a ‘Kaddish‘ for Gaza in Parliament Square. There is no logic to this reflex. Just because we are uncomfortable with the actions Israel has to take, it does not make those actions wrong. It is good that we remain self-critical, but aren’t the experts on this the ones that we need to listen to. At what point do people living in the comfort of secure London, know more than the Israeli generals making on-the-spot decisions with all of the information at their disposal? If my family was living in Sderot or Nahal Oz, I would want them protected by the IDF. I would know that the IDF, the only force between the forty-thousand rioters and my family, would do whatever they feel is necessary to protect us. This is what was foremost in the minds of the IDF soldiers who defended the borders against the Hamas attacks. Not how it all looked on TV. So no, I won’t be criticising Israel today. I don’t know if there was a way in hindsight to reduce casualties further, but military operations don’t operate in hindsight. 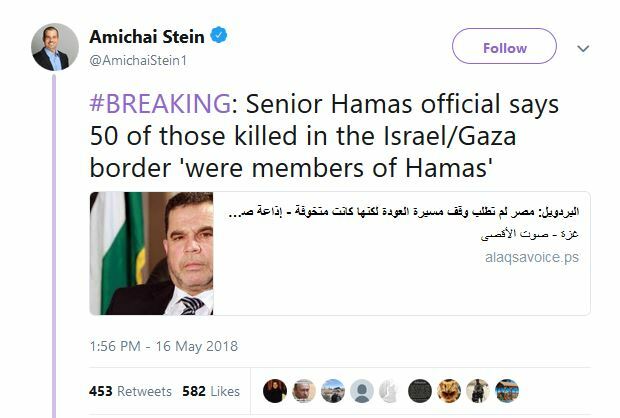 It does now seem like almost every fatality was a Hamas operative. What I also know is millions of armchair Generals are pretending they know more than the experts do. Millions of people that are not protecting the state of Israel. The IDF does that. This blog is unique, and the type of investigative journalism that this work requires can be intense. Antisemitism rises across that globe and this connects to the delegitimisation campaign against Israel. To fight back, we must do so on both fronts. Because of this, my research involves both antisemitism and the revisionist narrative that demonises Israel. My work is fully independent, and your support makes much of what I do possible. This research can and does make a difference, I was recently named as one of the J100 (‘top 100 people positively influencing Jewish life’) by The Algemeiner. If you can, please consider making a donation. Either a single amount or if possible a small monthly contribution. We need to be there to expose the hatred and the lies. To shine a light into the shadows and show people what is happening. We cannot remain silent. Every contribution is greatly appreciated. The post Gaza, Hamas and why I won’t be criticising Israel today appeared first on Beyond the great divide.